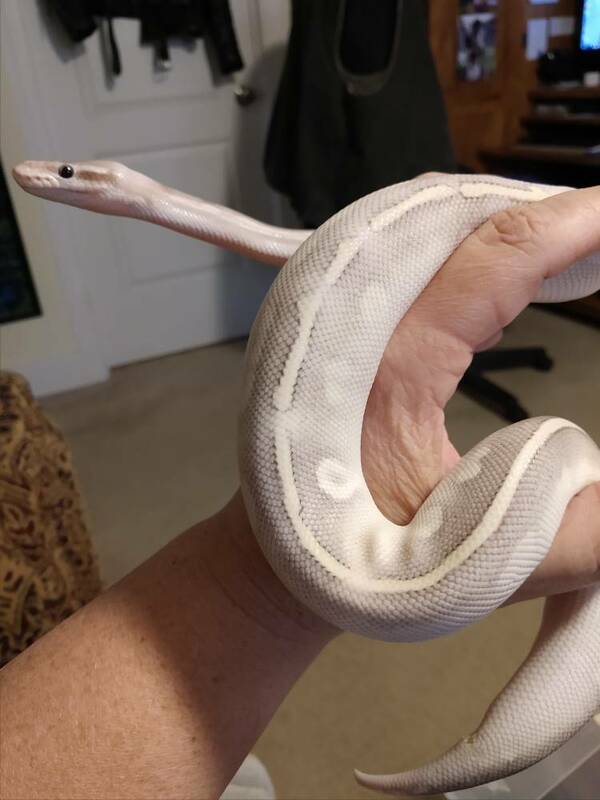 I picked up Loki this morning from a local breeder. 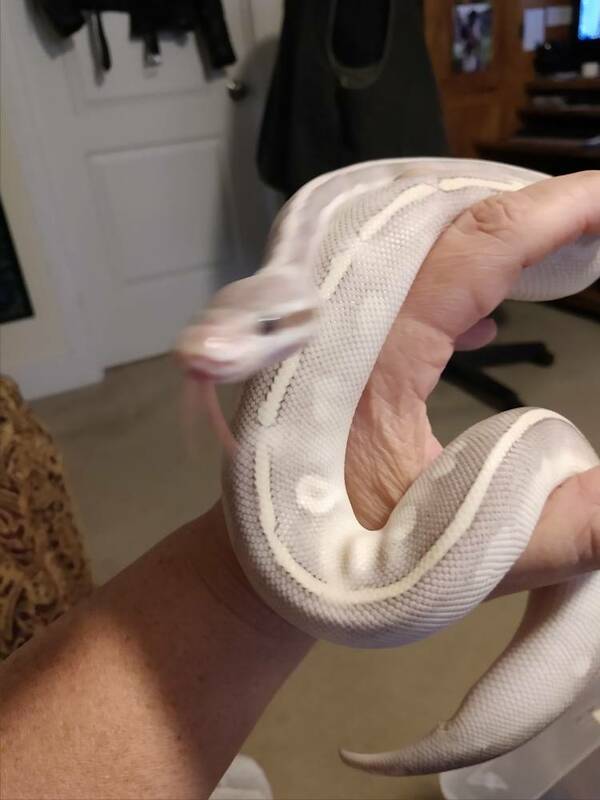 He's a pastel mystic potion, 218 grams, hatched 7/2018. He is my last purchase for the year. So I’ll preface this by saying I typically don’t feed new purchases the day they arrive, but let them settle in for a few days up to a week. But as I was feeding Selene & Sabrina, Loki came out of his hide and really started cruising the tub when he caught the scent. I figured what the heck, I’d offer him a f/t mouse. Worst case scenario the crows will have a treat in the morning. The breeder stated she only fed live but thought that I could eventually switch him over. She evidently never told him that. He nailed it. I just went to see if he actually ate it and the mouse is gone. He was half out of his hide and in strike mode as soon as he saw me. I don’t think switching will be an issue. I fed one of mine 2 days after bringing him home cuz he was searching the tank for the first time so I offered him one and he took it no problem. He's been an eating champ ever since. Looks like a wonderful addition. And btw, I normally advise everyone not to feed until a snake settles in, but I have broken that rule myself...shh! He was completely unplanned, though a mystic potion was definitely on a future wish list. I actually only had plans for one other snake after the weather breaks for shipping, but couldn’t resist this guy. I figured I was safe with the end of year comment....I’ll be at work tomorrow so how much trouble can I get into there. Most of my snakes have hidden when I first got them, regardless of whether I was thawing rats/mice for other snakes later the same day. He was hiding until I brought warm rats into the room, then he was out and searching. Supposedly he was last fed on Wednesday, but he sure didn’t act like it.